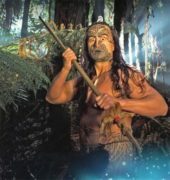 Jump on board one of the eight-seater gondola cabins and experience Rotorua’s most spectacular views! Skyline Rotorua’s 900 metre long Doppelmayr cableway system will transport you on a gentle, scenic ride up to the Skyline Rotorua complex. Providing panoramic views of Rotorua City, Lake Rotorua and the surrounding area, Skyline Skyrides is an all weather attraction, and is open every day of the year. The Luge is an exciting ride for all ages. 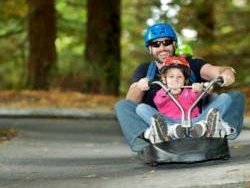 A world ‘first’ proudly designed and built in Rotorua, the Luge is a fun filled ride on a three-wheel cart. The unique braking and steering system provides the rider full control and allows them to travel as fast or slow as they wish. Gondola complex open from 9am daily, 365 days of the year. Last gondola departure from top terminal on restaurant closing. The Skyline Rotorua Luge opens at 9am daily all year round. Closing times vary depending on time of year. Due to long daylight hours in the summer the Luge stays open for twilight luging over the peak Christmas and New Year time. During the short daylight hours of the winter the Luge closes earlier.